“What do you mean Sagan isn’t going to be raised Christian?” she asked when we accidentally let slip that he wouldn’t be going to a Christian church. “When he’s old enough, he can read the Bible if he wants,” I said. It’s so strange that in a world where humans can see to the edge of the Universe, live to a century through modern medicine, access unimaginable volumes of information online, and fly all over the world that I am still put in the awkward position from time to time of having to explain to someone that I don’t believe in any of the mythical invisible entities known as “gods.” It’s also awkward because I don’t walk around all day thinking about the fact that I don’t think about such deities. 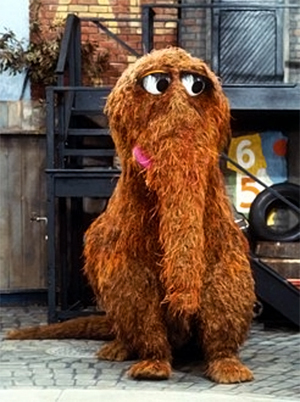 I don’t identify as a non-theist any more than I identify as a non-Mr. Snuffleupagusist. I identify as a Scientist a person who focuses on our shared empirical understanding of the natural world revealed through experimentation and inductive reasoning. The word god is used to cover so many different points of view… First of all, you can be religious without believing in god. Buddhists, certainly religious without having any notion of god. Secondly, the word god, it’s amazing how diverse the definitions are. Let me give two extremes. One is the sort of god that I gathered by osmosis during my childhood, which is an outsized white male with a long white beard who sits on a throne in the sky and tallies the fall of every sparrow. Now that kind of anthropocentric god there is, as far as I can tell, no compelling evidence for at all. None. At the other extreme, there’s the kind of god that Einstein and Spinoza talked about, not too different from the sum total of the laws of nature. Now there are laws of nature, and not only that they apply everywhere, to a quasar ten billion light years away as to the Eastern seaboard of the United States. And it’s a very remarkable fact that the same laws do apply so generally. It could have been a different set laws applies in every county. So that kind of god of course exists. Who would deny that there are laws of nature. So I claim you learn absolutely nothing about someone’s belief if you ask them “Do you believe in God?” and they say yes or no. You have to specify which of the countless kinds of god you have in mind. I don’t myself like to use the word in that context, because it doesn’t illuminate at all. If I say I believe in god or if I say I don’t believe in god, and I say no more, you’ve learned nothing about what my belief system is. For the sake of argument, we’ll put this fact aside and pretend that the term “atheist” only applies to people who don’t believe in the supernatural world whatsoever. Testable, provable phenomena, and the predictions they allow, big and small, brought me here to in front of you today and they will take me back to my family when I am done. 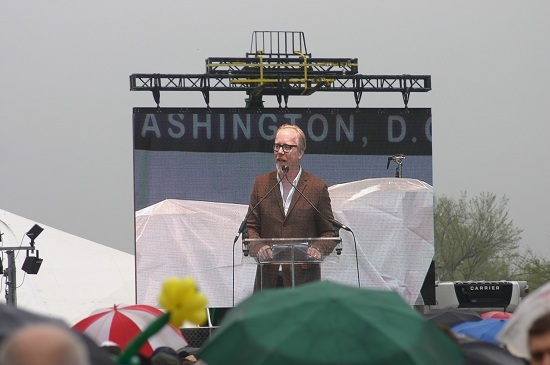 They allowed me to drive to DC on a bus, type my speech on a screen, ride to this rally in a car, walk on shoes that support my feet, and wear clothes and a hat that protects my pale skin from the sun. To fly on a plane home. That plane I will get on exists and stays in the air because of a million million large and tiny tested predictions lift, drag, material performance, physics, electricity, radio waves, wear, tear sheer, checklists, human error, machine error and redundancy. It is a miracle of engineering. It is the result of an ancient and very human drive. A drive that makes us what we are in all of our unique specialization. A drive to solve problems. Many tens of thousands of people combine their collective genius to make an impossibly fast and efficient, thin, inflated bubble of aluminum so stable and secure that you’d have to fly for several thousand years before the odds gave you an even chance of being in an accident. Everything that we have that makes our lives possible exists because human beings have tested the things they found in their surroundings, made predictions based on those tests, and then improved upon them. This is reason, the human capacity to make sense of the world. I was also extremely impressed with Nate Phelps the atheist son of Westboro Baptist Church Pastor Fred Phelps, who spoke so eloquently at the rally while his family picketed him at the sidelines. His story and others like it are why I wasn’t comfortable with people at the rally pointing to my son Sagan with a smile and referring to him as “future atheist.” Like most atheist parents, I will expose Sagan to a wide variety of belief systems, most likely through a community such as a Unitarian Church, let him decide for himself what to belief, and respect that choice. Leave the predestination nonsense to the Calvinists. By definition, independent thinkers are an individualistic bunch. 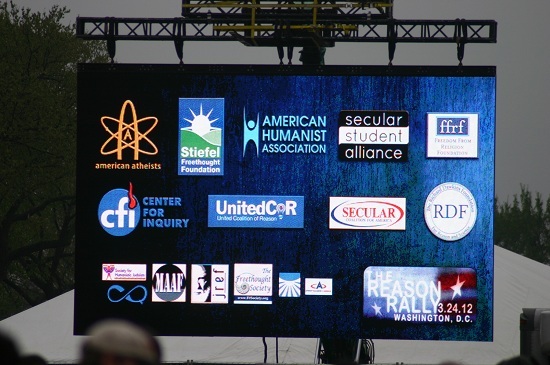 Over 20 secular and atheist organizations were present at the rally, each with their own flavor of skepticism, atheism, or Enlightenment values. There was the James Randi Educational Foundation, with its focus on debunking supernatural claims made by new agers and faith healers. There was the Richard Dawkins Foundation which actively promotes atheism, but also promotes the beauty and wonder of scientific ideas. 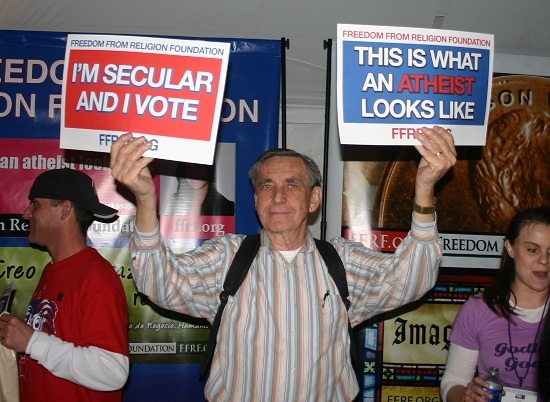 My favorite organization was also making a strong showing, the American Humanist Association whose slogan is “Good Without God” and presents one of the most positive and uplifting secular messages of any organization present that day. One of my heroes, Isaac Asimov took more joy in being president of the AHA than he did in his leadership of Mensa International. 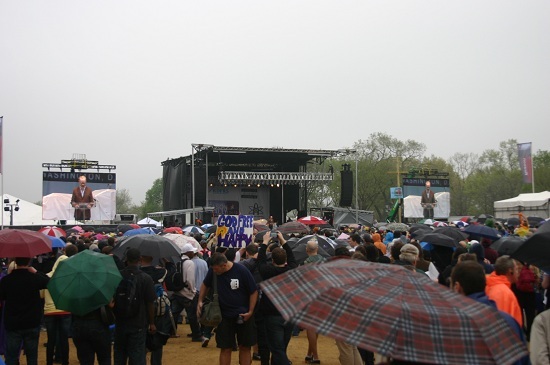 Richard Dawkins gave an overall good speech, where he lamented the absurdity of needing to hold such a rally, “How could anyone rally against reason? How is it necessary to have a rally for reason? Reason means basing your life on evidence and the logic which is how you deduce the consequences of evidence. In a hundred years’ time it seems to me inconceivable that anyone would want to have a rally for reason. By that time we’ll either have blown ourselves up or we’ll have become so civilized that we no longer need it.” I enjoyed the parts where he praised the natural world and our scientific understanding of it, but grew uncomfortable when he called for everyone to “ridicule and show contempt” for religion. Richard Dawkins straddles, but never crosses, the line between what I love about science and why I get worried when scientists focus too much on religion-bashing. Christopher Hitchens, PZ Meyers, and the other outspoken atheists who argue atheism for the sake of atheism, on the other hand, come across as hostile and belligerent. They ridicule rather than seek to persuade, seeking to stir up feelings of outrage and contempt in their audiences, framing everything in terms of “Us VS Them,” and portraying theists as not just wrong, but oftentimes as evil. You know who else does that? Religious extremists and political pundits. 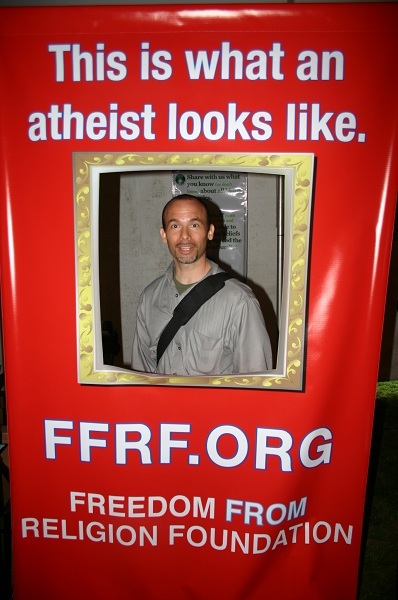 We walked out of PZ Meyer’s speech at the Reason Rally for the same reason I turn the dial when Rush Dimbulb is on the radio, and I fear these “New Atheists” as they call themselves and “Militant Atheists” as they are called by their opponents are doing more damage than good. The New Atheism, the outspoken, in-your-face controversial atheism is a reactionary movement resulting from the perpetual attempts of theists to impose their supernaturally-inspired belief systems on the public. Theists changed the motto of the United States to “In God We Trust” in 1956, replacing E Pluribus Unum which was the nation’s motto since 1782. Over and over and over again they try to force their supernatural explanations into public school science text books, failing to realize in their short-sightedness that allowing alternatives to factual knowledge would open a Pandora’s box of creation stories from religions around the world. They push legislation defining life as beginning before pregnancy and making it a felony for doctors not to tell abortion patients they will have an increased risk of breast cancer for which there is no scientific evidence. On top of all this churches get to keep $100 Billion a year in donations tax-free, enjoying all the taxpayer-funded benefits of our society without having to contribute anything in return. And yet somehow theists have managed to construct an elaborate scary fantasy of religious persecution in America. They falsely claim they are not allowed to pray in public schools, but the law only prevents them from using official school policy to impose prayer on students. They claim that religious groups are being banned from college campuses, but it is groups that practice discrimination that are being banned. Courts have ruled that private religious groups can discriminate against whomever they like, and organizations, like the Boy Scouts of America and religious organizations can and do discriminate on religious grounds. America was founded on secularism, when you look inside the Library of Congress you see America portrayed as the science nation. 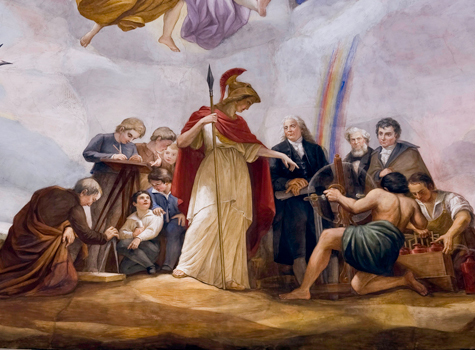 The ceiling of the dome of Congress has a painting of Greek Gods giving the Founding Fathers Enlightenment through the sciences. We have led the world in publishing scientific research and have led the world innovatively and economically because of that, but now China is projected to surpass us in the near future. It’s remarkable that in the same country inspired by the heretic Thomas Paine to revolt against Kings appointed by god in favor of popular rule, so many people care less about our power to innovate through science and more about whether the leader of 300 million Americans shows proper reverence to a supernatural deity for which there is absolutely no evidence. When confronted with such an assault American values, it is easy to fall into a rut of outrage. The antidote to outrage is perspective, doing what scientists do best: looking realistically at the big picture. The percentage of people who identify as “none” on religious surveys grows every year. Among scientists only 1/3 believe in god and that includes the deistic definition of god. But most telling is the 3/4 of Americans who believe in god. They disparage scientific knowledge while driving in cars designed by our engineers, proselytizing on our televisions, and commenting on our World Wide Web. When they get sick, it is to our doctors they run. They are immersed in the gifts of science every moment of every day, and we don’t begrudge them this wonderful quality of life science provides, but we can allow ourselves a small degree of knowing condescension at their oblivious hypocrisy. Democracy demands that the religiously motivated translate their concerns into universal, rather than religion-specific, values. It requires that their proposals be subject to argument, and amenable to reason. I may be opposed to abortion for religious reasons, but if I seek to pass a law banning the practice, I cannot simply point to the teachings of my church or evoke God’s will. I have to explain why abortion violates some principle that is accessible to people of all faiths, including those with no faith at all. Now this is going to be difficult for some who believe in the inerrancy of the Bible, as many evangelicals do. But in a pluralistic democracy, we have no choice. Politics depends on our ability to persuade each other of common aims based on a common reality. It involves the compromise, the art of what’s possible. You can argue whatever position you like in America, but when the only argument you have is because an invisible man in the sky said so, then you don’t have a legitimate argument. Supernaturally revealed knowledge is not universal in a pluralistic, democratic country. As Obama points out in the above speech, if we saw Abraham preparing to murder his son today, we would lock him up and put Isaac in child protective services. If you were to ask me, if I believed in god. Since I am a professional scientist, I would want to give you two answers. In my capacity as a professional scientist I would have to–I would be required to–be agnostic on the subject since I couldn’t cite with scientific certainty say that there is a god and I couldn’t with scientific certainty say that there isn’t. But if I were allowed to respond as just a regular non-scientist and if you allowed me to take the very same indulgences that all other non-scientists are allowed to take and that is I’m allowed to reject the training I’ve received as a scientist that taught me–that drilled into my head–not to accept anything as fact that can’t be scientifically proven, but instead I’m now allowed to do what many many others do and profess–I’m allowed now to profess to know something and to profess to strongly believe it in the complete absence of facts…then I’m gonna have to say that my very strong faith, my very very strong belief is that there is no god. But on this level, on this level now, my belief is perfectly equivalent to religious belief. We’re both doing the same thing. This is why I don’t define myself as an atheist any more than I would define myself as an a-dittohead, a-flat-earther, or a-astrologer. As American environmental activist Van Jones put it, “Martin Luther King didn’t get famous for giving a speech called ‘I have a complaint.’” There’s a point where you have to say what you stand for. I am an Enlightenment Scholar, like the American Founding Fathers before me, and I’m pretty damn proud of it. Science has expanded our vision, revealing what we could not see before and in such a way that anyone who wants to follow the procedure can see it. Science convinced me to my present worldview because it presents a world that so much more majestic and moral than any theistic philosophy. Science wins mindshare because it successfully improves our quality of life every single day. Is it any wonder so many great minds have mused on the wonders of nature revealed to us through science? The fairest thing we can experience is the mysterious. It is the fundamental emotion which stands at the cradle of true art and true science. He who knows it not and can no longer wonder, no longer feel amazement, is as good as dead, a snuffed-out candle. It was the experience of mystery — even if mixed with fear — that engendered religion. A knowledge of the existence of something we cannot penetrate, of the manifestations of the profoundest reason and the most radiant beauty, which are only accessible to our reason in their most elementary forms-it is this knowledge and this emotion that constitute the truly religious attitude; in this sense, and in this alone, I am a deeply religious man. I cannot conceive of a God who rewards and punishes his creatures, or has a will of the type of which we are conscious in ourselves. An individual who should survive his physical death is also beyond my comprehension, nor do I wish it otherwise; such notions are for the fears or absurd egoism of feeble souls. Enough for me the mystery of the eternity of life, and the inkling of the marvelous structure of reality, together with the single-hearted endeavor to comprehend a portion, be it never so tiny, of the reason that manifests itself in nature. Richard Feynman elucidates it. Chet Raymo enunciates it. Walt Whitman poeticizes it. Ralph Waldo Emerson glorifies it. Teddy Roosevelt appreciates it. Everyone should sing praise to science! So this is my Credo. I am an atheist, if by God one means a transcendent Person who acts willfully within the creation. I am an agnostic in that I believe our knowledge of “what is” is partial and tentative-a tiny flickering flame in the overwhelming shadows of our ignorance. I am a pantheist in that I believe empirical knowledge of the sensate world is the surest revelation of whatever is worth being called divine. I am a Catholic by accident of birth. I am an Enlightenment Scholar, like the American Founding Fathers. Experiments are my sacred rights. Quiet attention to the natural world around me is my prayer. Every school, laboratory, and library is my place of worship. My spiritual leaders are physicists, chemists, biologists, engineers, doctors, and professors. My scripture is in the ATGC of each link in the chain of a DNA molecule, the 1420.40575177 MHz frequency of a Hydrogen atom, The He, C, Ne, O, Si, and Fe atoms forged in stars, and the galaxy of elements produced from supernovas. My sense of mystery is the dark fog from the beginning of time at visible limits of our Universe, the inadequate metaphors of waves and particles we use to try and conceptualize the behavior of a sunbeam, and the infinite complexity of Pi, Phi, and e.
Fascinating article! I enjoyed reading all the different angles on this topic. The spirituality section reminded me of Carl Sagan’s discussions of the “numinous” in _Contact_. I think it’s easier for believers and non-believers to share that feeling when they can agree on some common language. Personally, I find religious exhortations much more palatable if I pass them through a sort of “translation process” that converts the overtly anthropomorphized religious language into something more naturalistic. Language comes with so much baggage, that it often disguises the fact that the numinous can be felt by everyone. We disguise our truths in many different clothes, then argue over the fashion. I like where this is coming from more than 99.9% of anything I read having to do with anything imaginary. As a subgenius, my sacred and holy duty is indeed to ridicule and make fun of others’ idiotic religious beliefs. So I personally think it’s a bit fallacious that “if somebody isn’t using their belief to hurt me, there’s no reason to call them out on it”. Every good christian who passes it on to their children passes on the ability for them to be corrupted by following a belief system that has no real foundation in fact. Every Fed Phelps is “descended” from Jesus Christ. There aren’t many people who are turned to evil for science (though it does happen), but there sure are a lot of people who are turned to evil for religion. I think passing on the trait of religion to your kids creates the distinct possibility that, 10 generations down the line, there may be 5,000 haters hating because a well-intentioned parent thought passing on their own ridiculous beliefs would result in no harm to any others. I content a great swath of america is an example this. ;) The only solution is to travel back in time and kill christ before he is crucified. That doesn’t change the point of what I said. Thanks you for the criticism. I reread what I wrote (it’s a long post and I was a little bleary-eyed last night) and you are correct that I unintentionally mischaracterized Dawkin’s point. I’ve changed “religious practices” to “religion” to make it more accurate. Dawkins says in his speech that he despises “what they stand for” in regards to religious people. As I mentioned, I don’t think Dawkin’s ever crosses the line in his criticism of religion; his points are well-reasoned and valid. A 15-minute speech wasn’t enough time for Dawkins get into the nuance of his position, where in “The God Delusion” he articulates that there’s a lot of cultural-history value to traditional religions that we should appreciate. 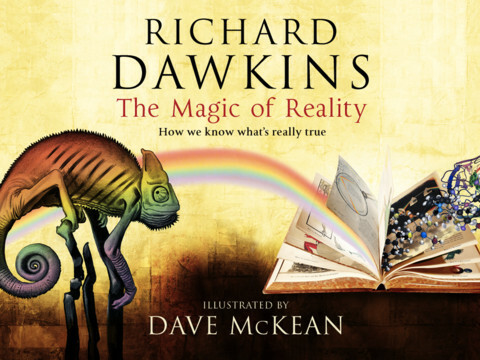 I love Dawkins and really respect the man. It’s PZ Meyers, Christopher Hitchens, and Penn Jillette who I have a problem with. When I hear them speak I get embarrassed for my side of the aisle. They are fairly juvenile and the reasoned points they do make are almost always stolen from people smarter than themselves like Bertrand Russel, Dawkins, or Thomas Paine. For me it’s like the difference between William F. Buckley, an intellectual Conservative who genuinely challenges my beliefs, and Rush Limbaugh, a bombastic self-important idiot who makes his listeners feel self-righteous but does nothing to move the conversation forward. The Secular Coalition should be led by the intellectuals, not the ideologues, lest the movement fall into the self-destructive fury we see crippling the Republican party today. “We disguise our truths in many different clothes, then argue over the fashion.” – That’s a great quote and expresses why I’ve been experimenting with Universal Unitarianism, the church recommended to me in several essays in the book “Parenting Beyond Belief.” The sermons I’ve listened to and the services I’ve attended are mostly positive experiences, with no specific mention of deities and only a focus on the sense of wonder. Some of the local churches even have documentary-nights, days where they go hiking, and other ways of enjoying nature in a secular way. The churches seem to vary widely in culture though, with some being more religious and others being more secular. Churches enjoy nature because they believe God made it–& they perceive God as an eternal, infinite, limitless essence–w/ 3 persons. Also, Christianity is a looser religion–its main statement is grace (only religion that preaches grace, actually) (anything given thats better than what one deserves) so theres more room for having fun. 3 out of 4 Americans are God-believers. But they dont care who doctors them up or whatever. 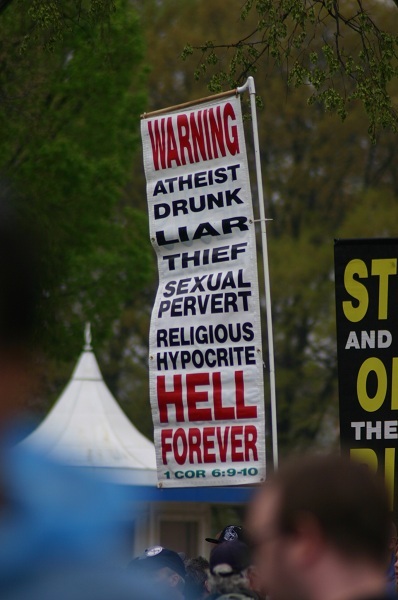 Theyre not all anti-people & anti-atheism. They are trying to defend their beliefs, & have educational systems let all origin theories (deistic or otherwise) be taught equally, & let kids pick for themselves. Just like some monotheists suppose that theyre being overrun w/ atheists, but not all atheists are bad. Also, science isnt all-powerful (to be fair, it has accomplished some cool stuff). Its based on observation, which comes by the 5 senses: 2 chemical senses (taste for checking food for unwanted stuff & smell for other organisms such as predators) & 3 physical senses (sight for electromagnetic waves , sound for vibrations, & touching/feeling for heat, state of matter, & texture). However, the senses of sight, hearing, & smelling arent as good as other species’, & certainly dont pick up everything in their “areas” that exists. Science makes up for much of that, but hasnt yet finished. Also, the biblical stories brought up, some details were left out, others exaggerated, which would make these stories better literature than theyre accused of being. It will suffice to say that the Bible idealizes nobody except Jesus, and that those arent the only stories in the Bible. There are many more, some not family-friendly. It wasnt written to fatten us w/ a mellower version of mythology (or a less mellow version), it was written because people lived life w/ theology & philosophy at the center, & gained new insights. Part of the entire idea of the Bible is that humans are flawed beings, despite all the good stuff they can do. I apologize if it came out too rude. I also apologize if it seems I comment on stuff too much–couldnt sleep, which is rare.